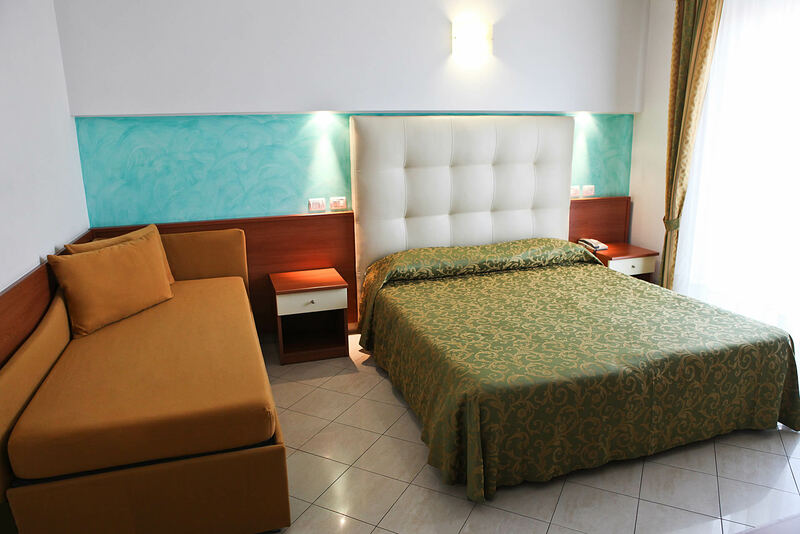 HOTEL GABBIANO RICCIONE OFFERS BED AND BREAKFAST SERVICE FROM 28.12 TO 08.01 AND RESTAURANT SERVICE FROM 25.05. – Half board reduction of € 7,00 on the price of full board. – Discounts: 50% for children up to 10 years sleeping in the same room with 2 adults, 30% up to 13 years, 10% from 15 years. The above prices apply for a minimum stay of 3 days and include: full board, half board, bed and breakfast per person per day, bathing hut, private and secure parking for the car, Wi-Fi , air conditioning in rooms and common areas, VAT. The meals will not be deducted from the account. The room is available to customers from 13.30 on day of arrival, to 10.00 am on departure day. For stays shorter than 3 days the room price and breakfast is applied. For any meals the cost would be apart. PROMOTION: FROM 25.05. until 14.06. and 01.09. until 15.09. FOR A MINIMUM STAY OF 1 WEEK CHILDREN UNDER 10 YEARS IN ROOM WITH 2 ADULTS STAY FREE. MUNICIPAL TAX EXCLUDED (1,80 EURO PER DAY PER PERSON PAYABLE TO 7 DAYS).